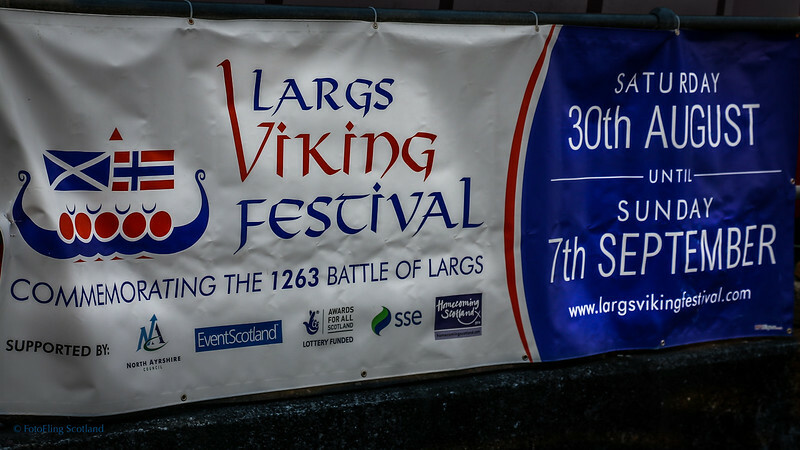 The Viking Festival in Largs commemorates the Battle of Largs (1263). 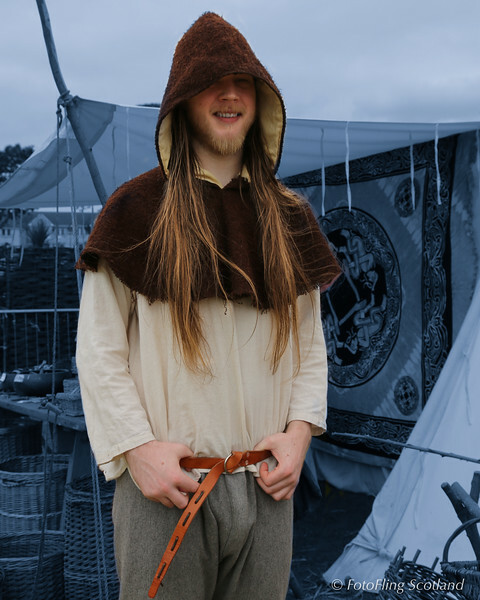 An authentic Viking Village is created along the promenade to allow people to see how the Vikings lived in the 13th Century - talk to them about their way of life; learn about how they made their clothes, weapons, jewellery and food. Ask the Vikings about their religion, beliefs, homes, crafts, ships, their homeland and why they left it. 2014 sees the re-enactment group Swords of Dalriada in the Viking Village with Viking traders from Germany, Sweden and Ireland. The Battle of Largs (2 October 1263) was an indecisive engagement between the kingdoms of Norway and Scotland near Largs, Scotland. The conflict formed part of the Norwegian expedition against Scotland in 1263, in which Hakon Hakonarson, King of Norway attempted to reassert Norwegian sovereignty over the western seaboard of Scotland. Since the beginning of the 12th century this region had lain within the Norwegian realm, ruled by magnates who recognised the overlordship of the Kings of Norway. However, in the mid-13th century, two Scottish kings, Alexander II and his son Alexander III, attempted to incorporate the region into their own realm. Following failed attempts to purchase the islands from the Norwegian king, the Scots launched military operations. Hakon responded to the Scottish aggression by leading a massive fleet from Norway, which reached the Hebrides in the summer of 1263. By the end of September, Hakon's fleet occupied the Firth of Clyde, and when negotiations between the kingdoms broke down, he brought the bulk of his fleet to anchor off The Cumbraes. On the night of 30 September, during a bout of particularly stormy weather, several Norwegian vessels were driven aground on the Ayrshire coast, near the present-day town of Largs. On 2 October, while the Norwegians were salvaging their vessels, the main Scottish army arrived on the scene. Composed of infantry and cavalry, the Scottish force was commanded by Alexander of Dundonald, Steward of Scotland. The Norwegians were gathered in two groups: the larger main force on the beach and a small contingent atop a nearby mound. The advance of the Scots threatened to divide the Norwegian forces, so the contingent upon the mound ran to rejoin their comrades on the beach below. Seeing them running from the mound, the Norwegians on the beach believed they were retreating, and fled back towards the ships. Fierce fighting took place on the beach, and the Scots took up a position on the mound formerly held by the Norwegians. Late in the day, after several hours of skirmishing, the Norwegians were able to recapture the mound. The Scots withdrew from the scene and the Norwegians were able to reboard their ships. They returned the next morning to collect their dead. The weather was deteriorating, and Hakon's demoralised forces turned for home. Hakon's campaign had failed to maintain Norwegian overlordship of the seaboard, and his native magnates, left to fend for themselves, were soon forced to submit to the Scots. Three years after the battle, with the conclusion of the Treaty of Perth, Magnus Hakonarson, King of Norway ceded Scotland's western seaboard to Alexander III, and thus the centuries-old territorial dispute between the consolidating kingdoms was at last settled. Although the Battle of Largs was apparently not considered a significant event by contemporaries, later partisan historians transformed it into an event of international importance.